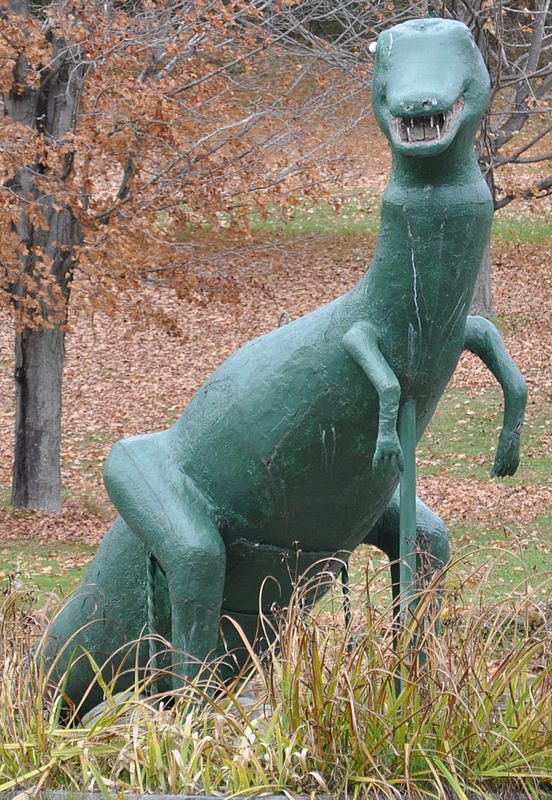 The Petrified Creatures Museum of Natural History opened in 1934 as a fossil museum. 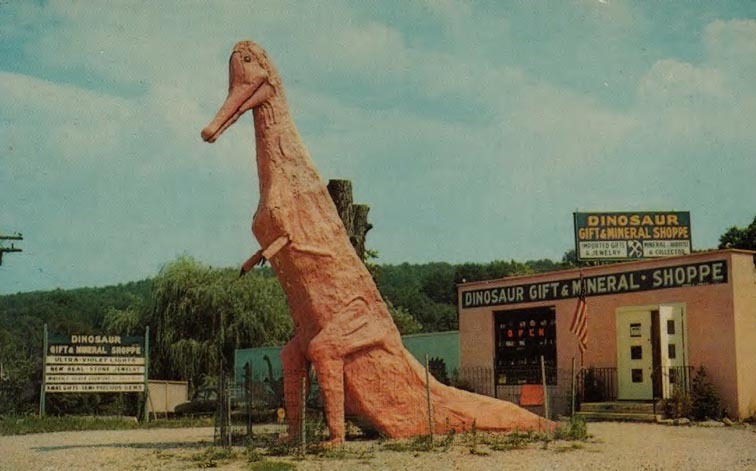 It had been a tourist attraction on US 20 for many years before John Mlecz bought it. 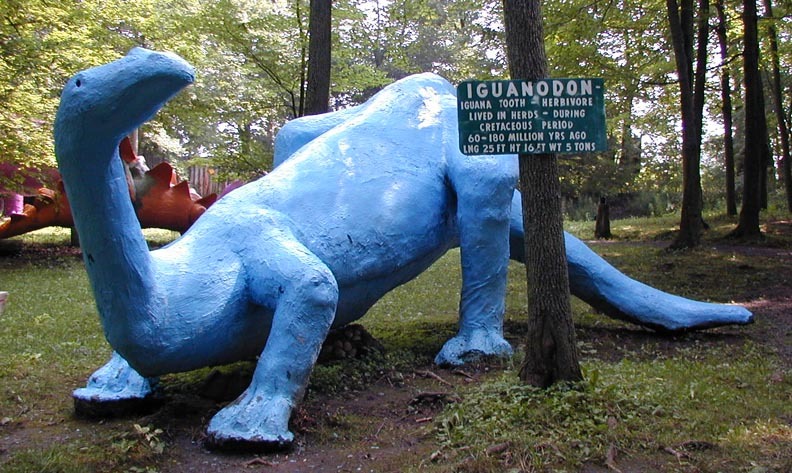 He added these five giant dinosaurs in the 1950s. When Mlecz passed away, his wife took over running the place. 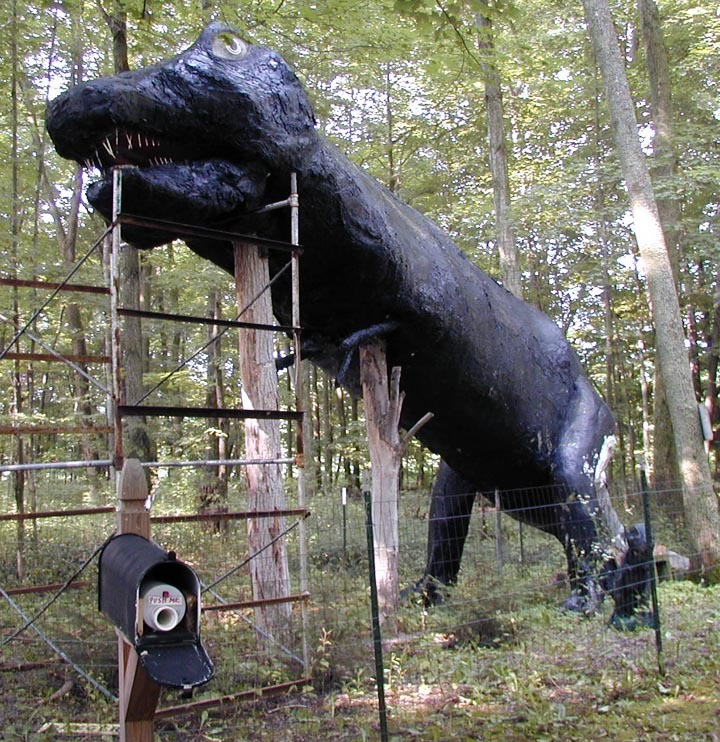 Around 2002, mailboxes with recordings of sound effects and facts were added for each dinosaur. 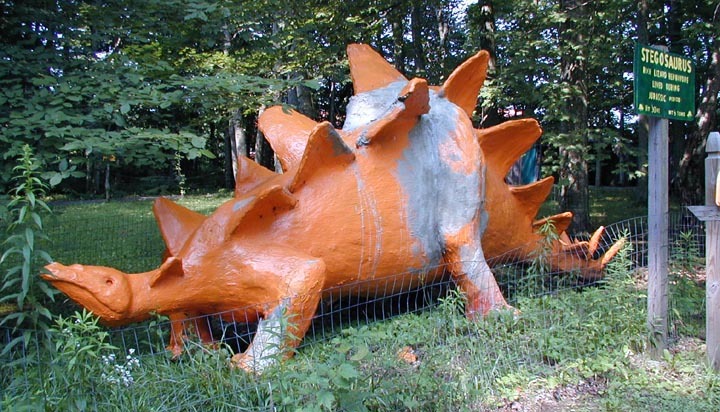 When these photos were taken in 2004, some restoration and painting was underway. The place closed in 2016 and was put up for sale. It remains abandoned and the statues are still there. For more, see this website. 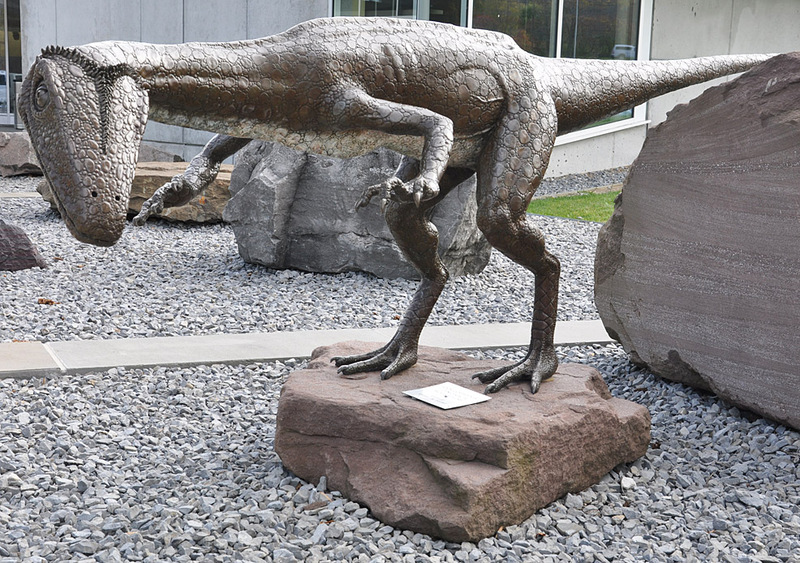 This Dinosaur at the Museum of the Earth represents a life-sized Coelophysis. 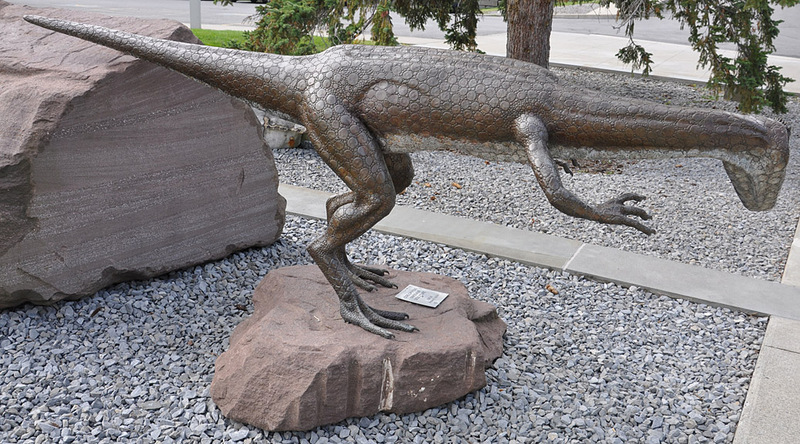 The 10 foot long bronze statue was installed in 2009. It was created by Yure Berkeley Lima de Alencar. 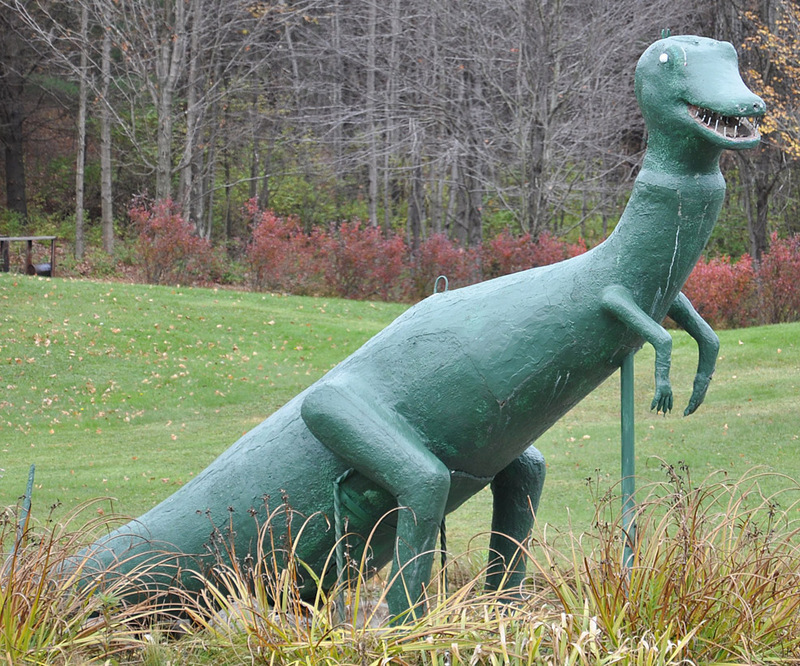 The Dinosaur in Angelica is installed next to a pond on someone's front lawn. It has been here since at least 1969. 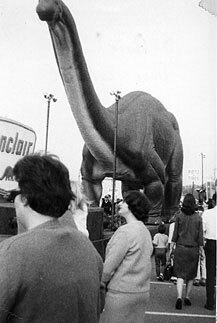 The Sinclair Oil Exhibit at the New York World's Fair from 1964-1965 was called "Dinoland". 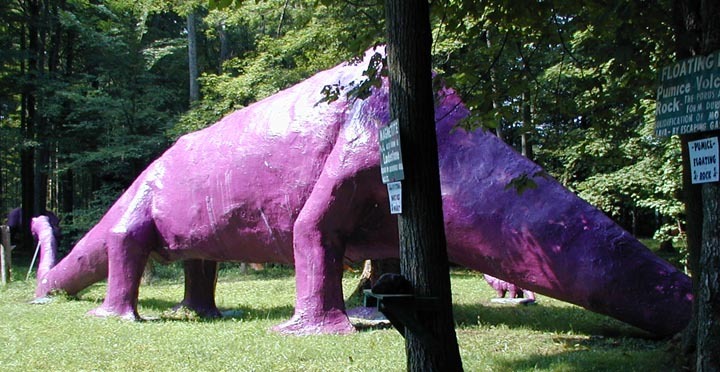 It featured nine life-size fiberglass dinosaurs. Louis Paul Jonas, a sculptor whose studio is still active today, took three years to build them. 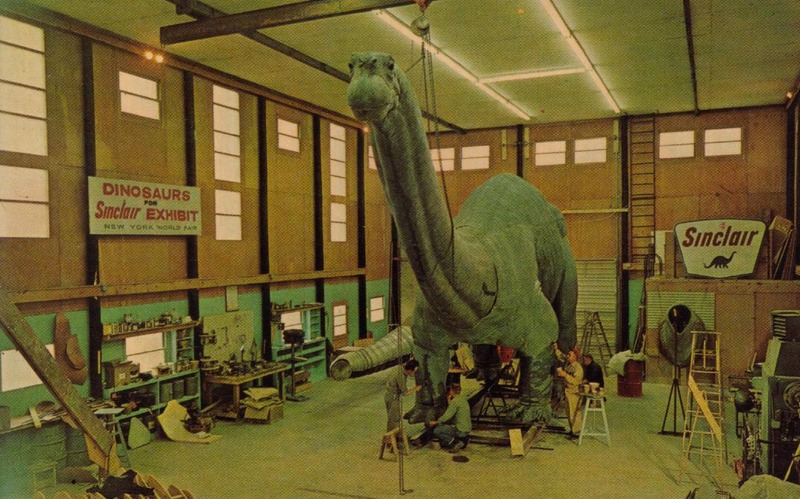 With a team of paleontologists, engineers and robotics experts, the dinosaurs were the most accurate ever built. 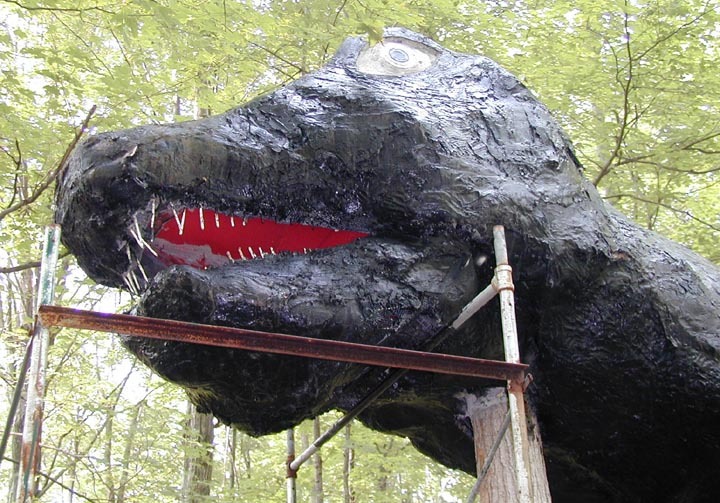 The statues were animatronic and featured moving necks, heads, and jaws. When the statues were built, they were floated from Upstate New York down the Hudson River on a barge to New York City. 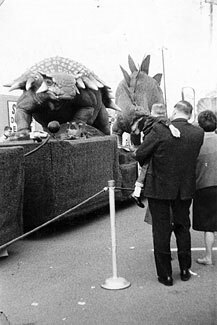 After the Fair, the dinosaur statues' animatronics were removed and they were put on flatbed trucks and toured the country. 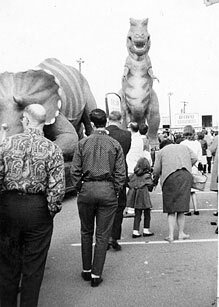 They appeared on a float in the 1966 Macy's Day Parade in New York (accompanied by a giant balloon of Sinclair's Dino who was part of the parade until the late 1970s). 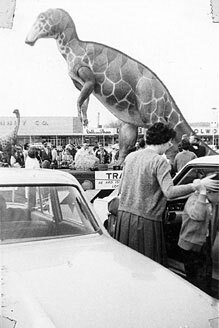 After the parade, the dinosaurs went back on the road. One of the stops was in Vestal, NY. [Birmingham photos above thanks to Tim Hollis]. 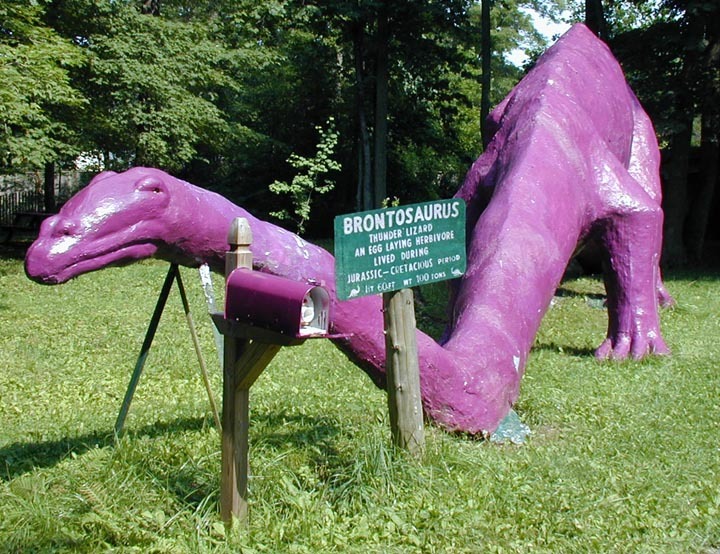 When the Smithsonian Museum rejected the statues, they were dispersed to different parks: the Tyrannosaurus Rex and Apatosaurus to Glen Rose, TX; the Triceratops to Louisville, KY's Museum of Science & Industry and/or Windsor, ON; the Stegosaurus to Dinosaur National Monument in Jensen, UT (a copy is now also at the Cleveland Museum of Natural History); the Corythosaurus to Independence, KS; the Ankylosaurus to the Houston Museum of Natural Science); the Struthiomimus to the Milwaukee Museum; and the Trachodon to the Brookfield Zoo in Brookfield, IL. 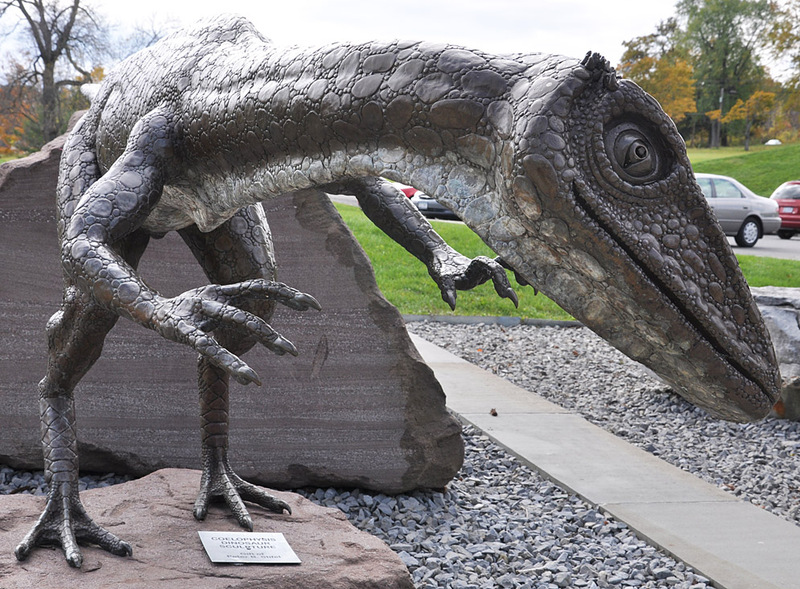 The Ornitholestes was stolen and never recovered. 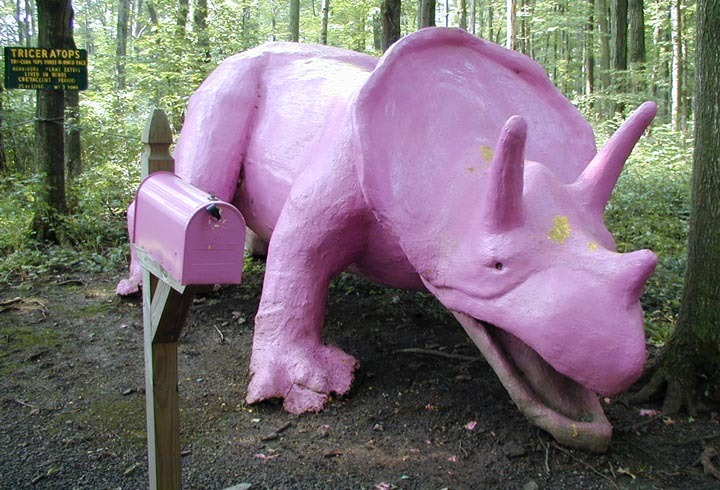 However, copies from the original mold have been made and are displayed in New Jersey and Calgary, AB.